For many businesses in the UK exporting has, by and large, not been very difficult for most of the last 30 years. Moving goods into Europe has been relatively free of hassle, due to the UK’s membership of the single market and customs union. Customs procedures and know-how have only really been a requirement for more adventurous exporters who send goods to markets beyond the EU. Whatever happens with Brexit, some additional paperwork requirements are likely for businesses exporting into Europe. However, a level of understanding about how customs procedures and documentation work is already required for UK businesses looking to export beyond the EU. Given that there has been greater growth in emerging markets outside of Europe than there has been in the EU, this need for customs expertise is greater now than it has been for decades. Exporters should certainly be looking at the opportunities that these growing markets represent. Yet, to export into these markets, businesses need to know what paperwork and registrations they need to complete. The Institute of Export & International Trade has long educated businesses and individuals in how customs procedures work. In response to Brexit and the government’s strategy to form a more ‘Global Britain’ in the years to come, the Institute has gone about creating a better recognised ‘Customs Practitioner’ profession. Businesses recognise the importance of lawyers and accountants, so why shouldn’t they look to hire or work with people who have a professional level of understanding in international trade? To help form a new generation of such professionals, the Institute has created a ‘Customs Pathway’ through its suite of training courses, culminating in the attainment of a ‘Customs Practitioner Award’. Professionals who have taken this award will be extremely valuable for businesses looking to do more international trade or who are looking to preserve their trade with Europe. Understanding how international customs works will safeguard your business against future changes in the customs landscape and enable you to review and optimise your customs strategy. The Institute has also recently expanded its training offering by partnering with the World Customs Organisation to deliver e-training courses in several key areas of international trade. Established in 1952, the WCO represents 183 Customs administrations across the globe that collectively process approximately 98% of world trade. As the global centre of customs expertise, the WCO is the only international organisation with competence in customs matters and can rightly call itself the voice of the international customs community. It is through organisations like the WCO that much of international trade is managed and its future processes shaped. It is an internationally regarded institution and recognised by industry professionals around the world. Through the Institute’s websites, individuals and businesses can access over 500 hours of online training from the WCO Academy, ranging from Rules of Origin to the WTO Trade Facilitation Agreement. The courses are not just a great opportunity to learn about the key customs processes, but also a chance to gain international recognition from the leading international customs body. Become a Customs Practitioner yourself! 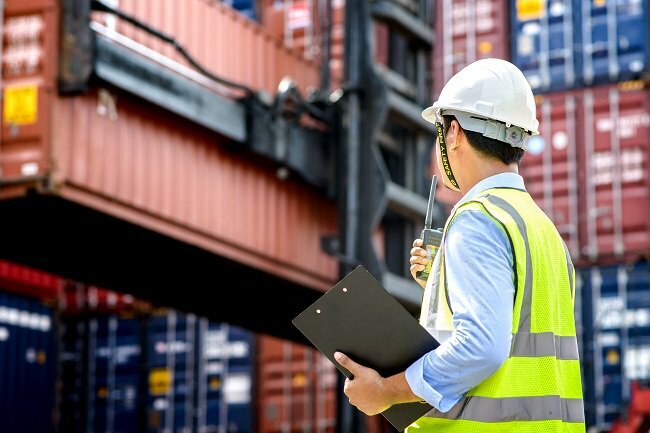 The knowledge and training businesses need to export in a professional and compliant way is available through organisations like the Institute and the WCO.